The dress of your dreams, expertly tailored IN HOUSE, from start until you say finish. Not as easy as it sounds…but, for you at the Town Shop, it is. Finding the perfect gown is most important, but equally so, and many times misunderstood, is finding the right professional to guarantee that your gown fits you flawlessly – and this is what we’ve been doing for over 75 years. As a bride, for your wedding day, there will be no such thing as a “simple” fitting or an easy alteration. There is always that extra ½ inch to be taken in on the side or bust seam. Or a slight modification may be desired on the neckline. The delicate lace hem may need to be re-worked until perfect. Or an unexpected weight change may occur, requiring the letting out or taking in of the entire gown. Every bead is secured, every crystal just so, every appliqué – perfect. Every bustle, planned, sculpted, and secured exactly the way you wish. After you have had your first, second, and final fitting, our professional presser, Blanca, will spend hours delicately ironing and steaming every stitch, crease, fold and wrinkle until your gown sparkles with perfection! 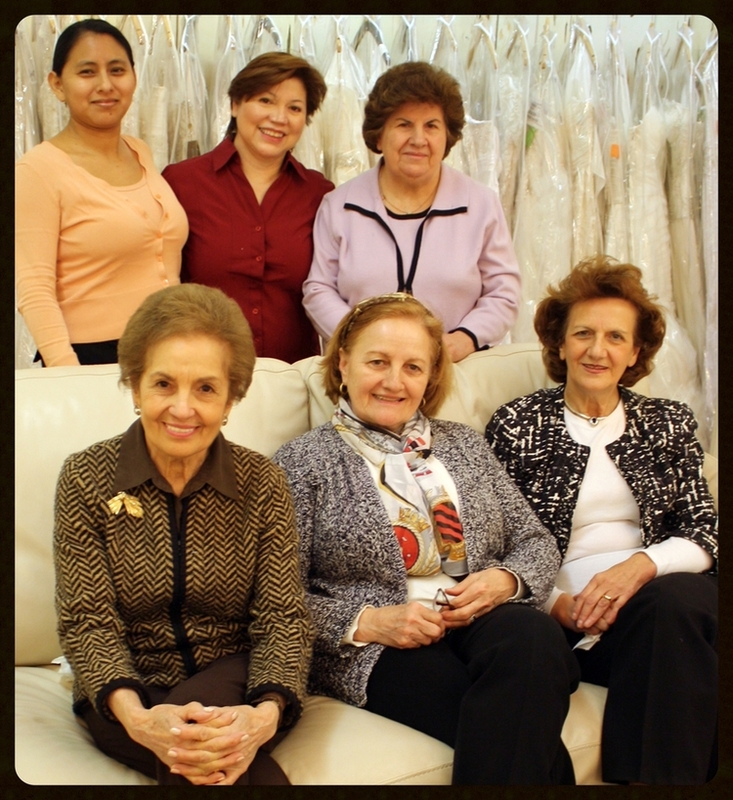 Town Shop has a full time staff of the most expertly skilled artisans from all over the world and they are dedicated to refining the dress of your dreams. When you choose Town Shop, you are choosing excellence and over 200 years of combined expertise in the fine art of bridal tailoring. We are excited to welcome you to the Town Shop dressmaker family! A word about fitting appointments: We understand your busy schedule. Having a large staff on hand allows us to schedule fittings at your convenience, five days a week, evenings, and Saturdays.